Over the past few years, pundits and fans alike have suggested a variety of potential rule changes in tennis, whether tournament specific to a general change. Many have complained about the Wimbledon Championship’s outdated traditions, such as their dress code and the 11pm curfew, while others have advocated for five sets for WTA competitors to be implemented in Grand Slam tournaments. World No. 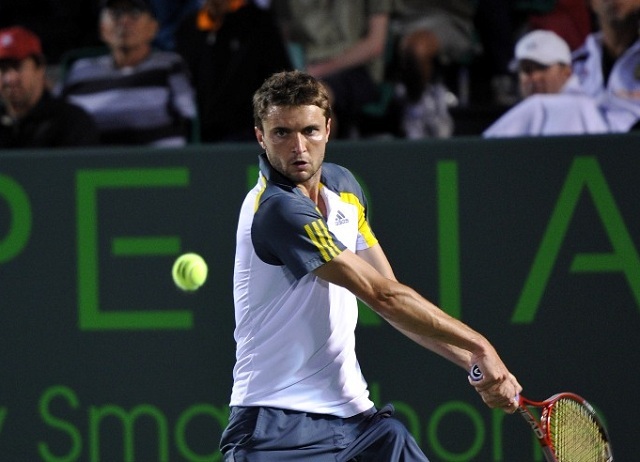 38 Gilles Simon had an entirely different suggestion when asked to name a potential rule change in tennis that he would like to see. The Frenchman offered the suggestion that came in two parts. Firstly, he recommended that tennis adjust to only have one serve per shot. His second piece of advice was to change the positon of the server depending on their height. Simon’s suggestion may appear farfetched at first, but it an interesting point to consider and entertain. Ignoring his first suggestion, it is clear that height plays into the success of the server, as players like John Isner, Milos Raonic and Ivo Karlovic are extremely comfortable on their own serve. While it is unlikely that such a change would ever be implemented, it is an interesting point to ponder.